If you're looking for a beautiful contemporary piece that will compliment any architecture in your backyard or garden, then look no further than the Tagai Water Fountain. Chiseled and rustic in its design this piece is absolutely stunning and the water sounds are very peaceful and relaxing. These fountains are made of glass fiber reinforced concrete (GFRC) to outlast traditional cast stone at a substantial weight savings. 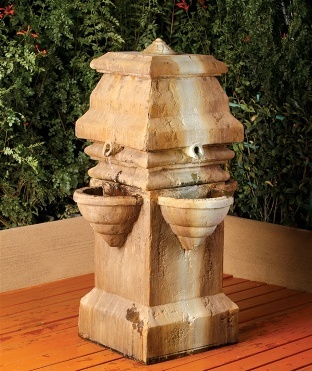 The craftsman of this water fountain line have perfected the use of composite materials with all the genuine texture and appearance of stone to provide you with products of superior value and ease of installation, each fountain includes assembly instructions. 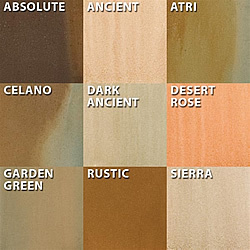 Shown in Ariana finish.